PhD in Communications from the University of Leeds (UK) and a postdoctoral researcher in Public Consultations from the Fluminense Federal University (UFF) (Brazil). Teaches courses on innovation and technology at ESPM (Brazil), is an Independent Researcher at the Open Government Partnership in Brazil, and a Fellow in open government for the Organization of American States (OAS). He was a visiting researcher at the United Nations University and at the University of California San Diego. 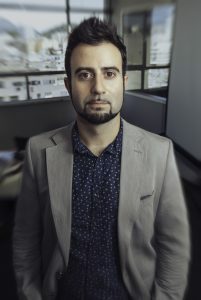 Fabro has worked for over ten years with research and projects on technology and society for organizations such as UNESCO, the European Parliament, the European Commission, Mercosur, and IDRC, in addition to have work published in the fields of Human Rights, Open Government, and Technology. He is the Executive Director at the Institute for Technology & Society of Rio de Janeiro (ITS Rio).